I always adore white dresses; but when it comes to white, off-shoulder dress, I have a major crush. So I have to admit that I fall in love at the first sight with this dress from Paulina Katarina‘s Polly Dress in White. 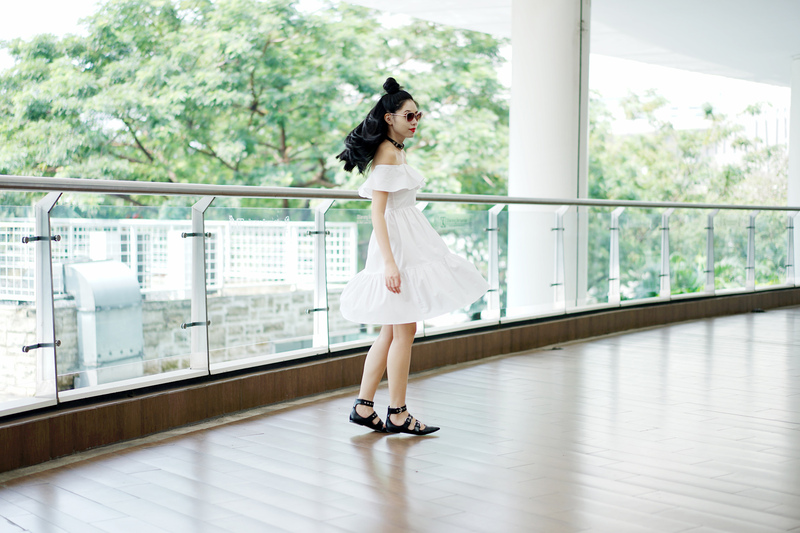 Trimmed with pretty ruffles, this dress is my perfect little summer dress; and better yet, I can pair it with any shoes and bags according to the occasion. Pair it with heels, you are good for a dinner date. Pair it with flats, you are good for a casual Sunday hangout. For my outfit of the day, I choose to pair it with pointy flats and furry clutch to refine my style.